On the highest point of the highest ridge in Parktown sits Emoyeni. Offering sweeping, panoramic views over the forest of the Northern Suburbs of Johannesburg and all the way to the Magaliesberg. 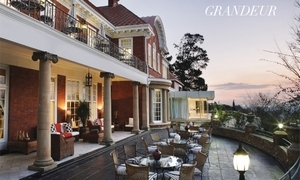 Built in 1905 for the Honourable Henry Hull, this Edwardian-era masterpiece hosted lavish parties for the Randlords of the day. Emoyeni offers private, multi-functioned rooms and facilities, perfect for a wide variety of different events such as conferences, corporate meetings, year-end functions, weddings and any private occasions.